Ventura County Hard Money Lenders - North Coast Financial, Inc.
North Coast Financial are hard money lenders offering Ventura hard money loans (private money loans) to real estate investors and property owners. North Coast Financial has over 37 years of hard money lending experience and the company’s owner/broker has financed over $800 million in California hard money loans. Contact North Coast Financial now to inquire about a Ventura hard money loan. North Coast Financial offers many different types of Ventura hard money loans including rehab / fix and flip loans, investment property loans, cash out refinance loans, distressed property loans, land loans, estate and trust loans, bridge loans, fix and flip loans, hard money purchase loans, reverse mortgage refinance loans, owner occupied hard money loans, construction loans and other Ventura hard money loans secured by real estate. North Coast Financial are Ventura County hard money lenders (private money lenders) providing hard money loans for different types of property including single family residence, multi-family residence, commercial, land and industrial. North Coast Financial are bridge loan lenders providing bridge loans in Ventura County and throughout the state of California. A bridge loan is a short term loan provided until the borrower can secure permanent financing. Contact North Coast Financial now to inquire about a Ventura bridge loan or visit our Bridge Loan page for more information on our bridge loan programs. Ventura County is located northwest of Los Angeles County and has an estimated population of 846,000. Ventura County is split into two sections, West County and East County. West County consists of Oxnard, Camarillo, Somis, Point Mugu, Ventura, Port Hueneme, Santa Paula, Fillmore and Ojai. East County contains Newbury Park, Lake Sherwood, Thousand Oaks, Santa Rosa Valley, Hidden Valley, Simi Valley, Moorpark and Oak Park. 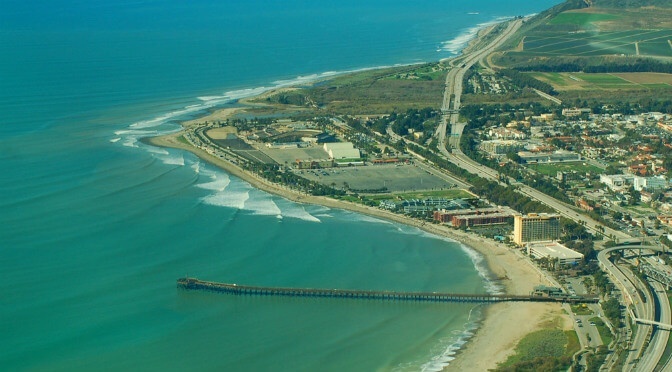 The median sales price for homes in Ventura for July – October 2015 was $495,000 a 1.0% increase year over year. Sales prices of homes have increased 38% over the past 5 years in Ventura. The average listing price for homes in Ventura was $636,000. The average price per square foot in Ventura, California is $341, which is a 4.9% increase year over year. 93001, 93003, 93004 and 93002 remain among the most popular zip codes in Ventura. For July – October 2015, the median sales price of a 1 bedroom home was $340,000, a year over year increase of 7.1%. The median sales price for a two bedroom home was $372,500, a year over year increase of 2.1%. The median sales price for a three bedroom home was $497,000, a year over year decrease of 0.6%. The median sales price for a four bedroom home was $532,000, a year over year increase of 2.5%. The median sales price for residential properties in Ventura for April – July 2015 was $483,250. This is a 7.4% increase when compared to the previous year. Over the past 5 years, sales prices of residential properties have increased 27.5%. The average listing price for homes in Ventura was $627,508. The average price per square foot in Ventura, California is $326, which is a 5.8% increase when compared to the previous year. Some of the most popular zip codes in Ventura include 93001, 93003, 93004 and 93002. For April – July 2015, the median sales price for a two bedroom home was $348,000, a year over year increase of 4.0%. The median sales price for a three bedroom home was $474,000, a year over year increase of 6.8%. The median sales price for a four bedroom home was $570,000, a year over year increase of 1.8%.